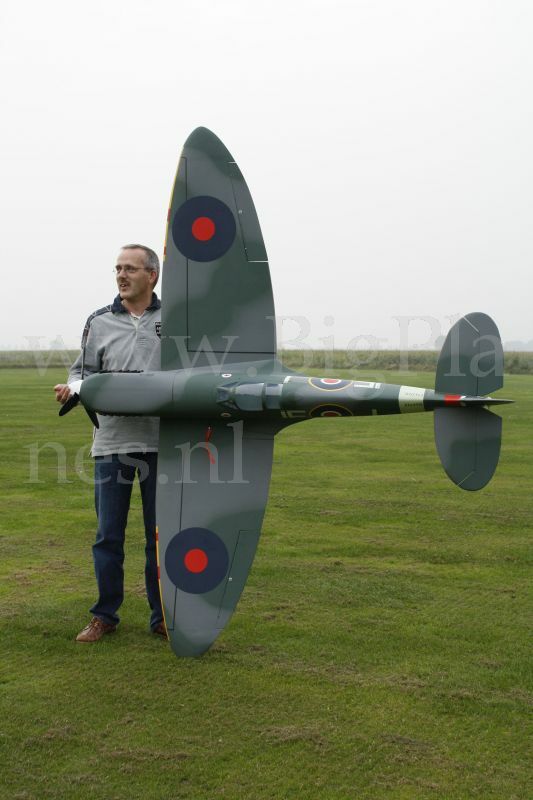 Wing span (spanwijdte) 2260 mm 89"
Factory painted in authentic British paint scheme with pre-applied decals, covered with clear coat. Electric retracts: including alloy wheels and oleo struts. All in a very high quality. 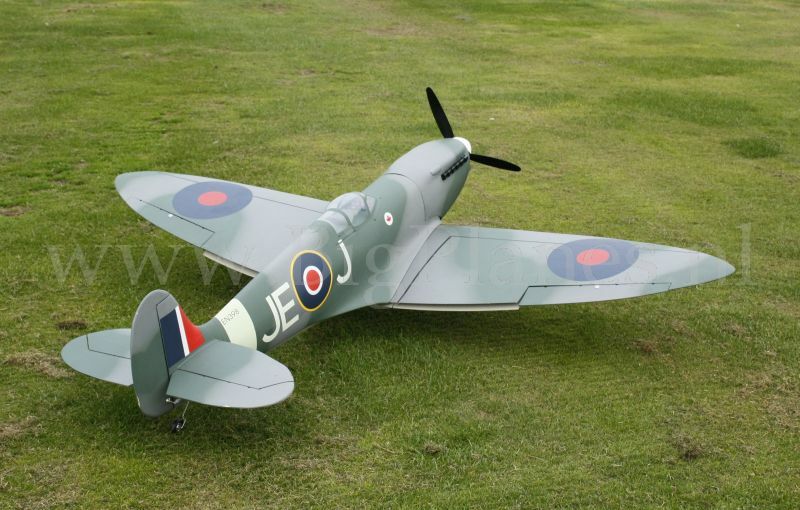 The Spitfire is quite possibly the most famous and celebrated warbird of all time. It is often creditted with the british victory over the Germans in the battle of Britain, even though the Hurricane actually scored more aerial victories, and its status is legendary. 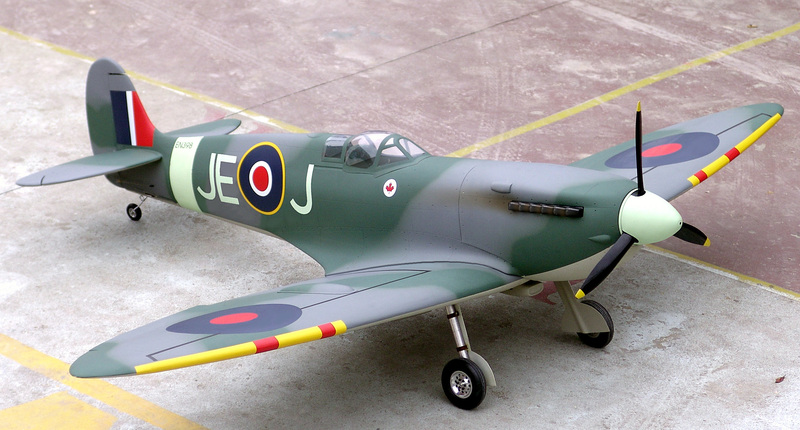 More spitfires were made during the second world war than any other fighter aircraft, and it holds the distinction of being the only allied fighter in service at the beginning of the war that was still in service at the end. 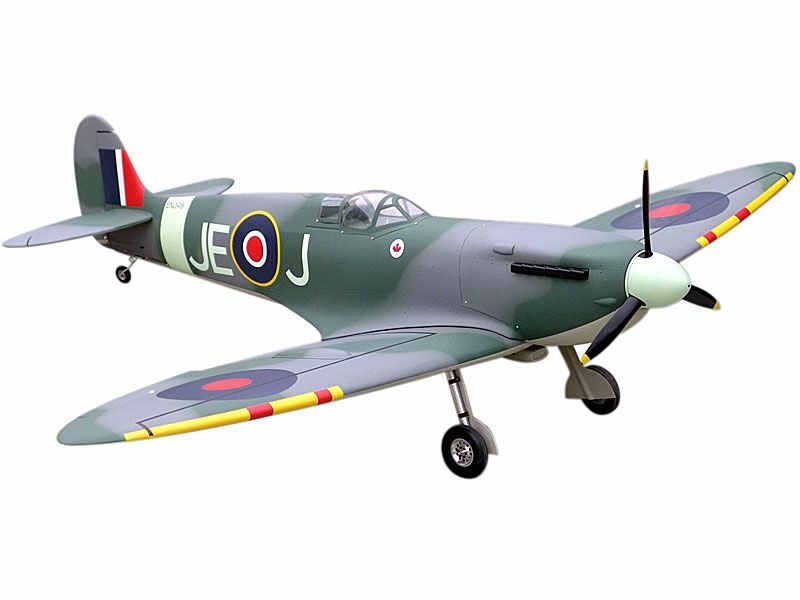 Designed by R.J. Mitchell and later variants by Joseph Smith, the spitfire was a beautiful single seat fighter aircraft. Its gently contoured wings provided extremely strong flying acteristics, allowing for very tight maneuvering at high speeds. 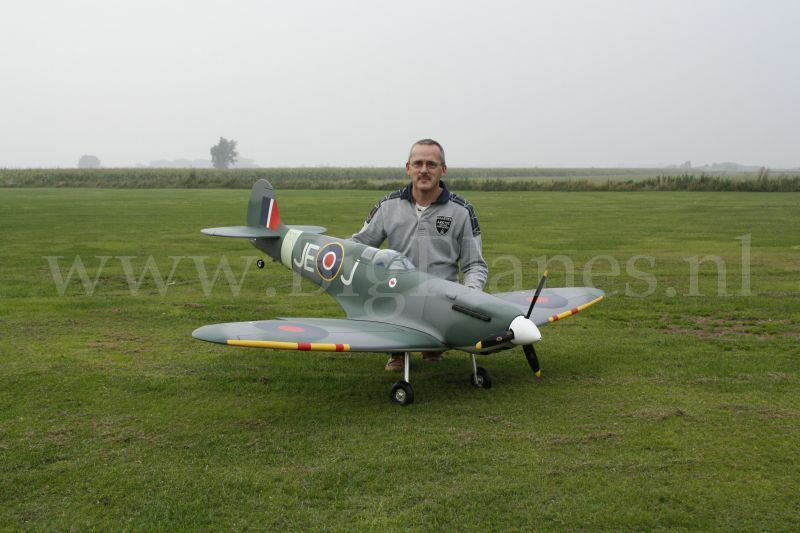 This gave the spitfire a huge advantage over German aicraft during the battle of britain, although it was largely equalled by the introduction of the FW-190 and others later in the war. Its thin eliptical wing allowed it to fly faster than the Hurricane, although the latters tight placement of 50 calibre machine guns and closer point of conversion proved deadlier to German bombers. Its distinctive silhouette and the beauty of the design made it a legend. While the Spitfire was constantly compared to the BF-109, the spitfire was a more flexible design, and allowed for better and better versions, making it's later marks more potent than those of the BF-109. The spitfire saw extensive service after the war in many conflict areas, including the dle east, Arab Legion Spitfires tangled with the new state of Israel's Avia S-199 versions of the ME-109. Later in that conflict, there were actually many engagements of spitfires v. spitfires as the Israelis managed to secure some from Czechoslovakia. 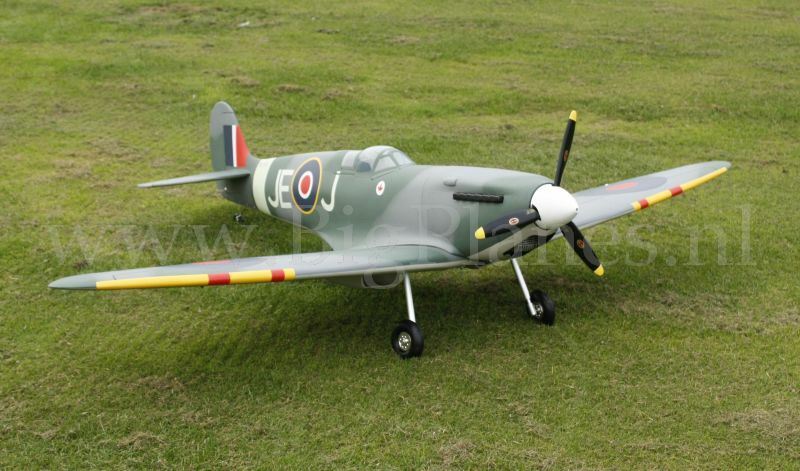 This model is of a Spitfire Mk XIV, in the livery of the 91st (Nigeria) Squadron, which boasted several aces in its ranks, including R.H. Harries and Johnny Johnson. This aircraft was operated by Flt Lt "Johnny" Johnson from West Malling in July of 1944, and was nicknamed 'BRUNHILDE'.